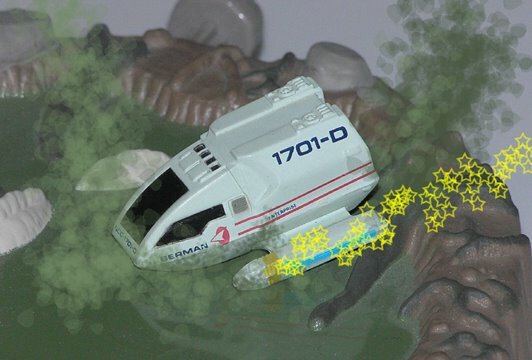 After traveling light years, Riker and Worf decide to go and stretch their mini joints a bit in the mini shuttle craft. A common anomaly is attracted to the shuttle craft and sends it off course. The Mini shuttle crashes into a stinky green bog. Mini Riker and Worf are surprised to find life on this strange new world! 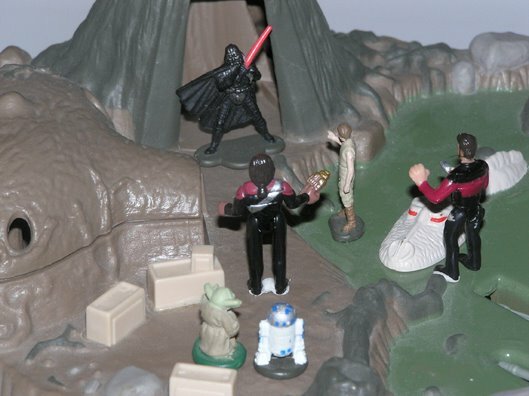 But before friends are made, Mini Darth Vader bursts from his evil cave and a fight ensues. 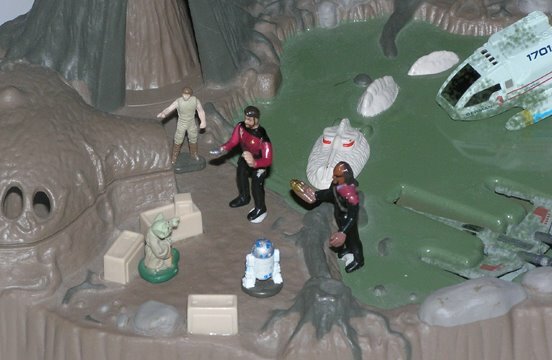 At that same momment, poor mini Riker is caught off gaurd by the swamp monster. Who will win this terrible battle. Find out next time! I don't know why, but I was searching for this guy alllll summer. Just though he was an interesting character in the movie. 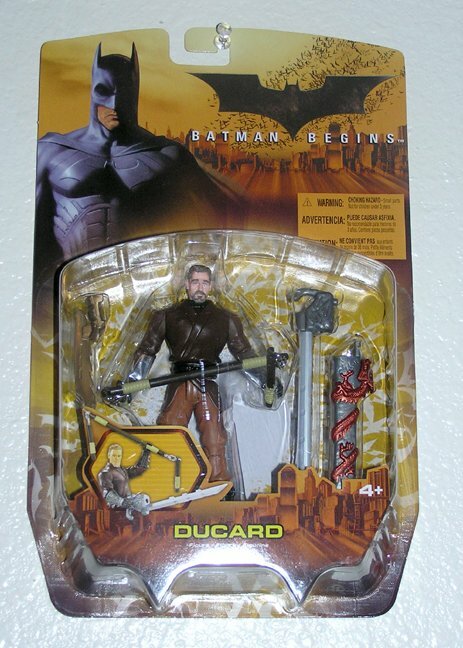 My plan now is to leave Ducard in the box like the old Prospector in Toy Story 2. He will age, and grow crazy, and then one day escape. I will then take him on tours to shows like Oprah and Nightline! 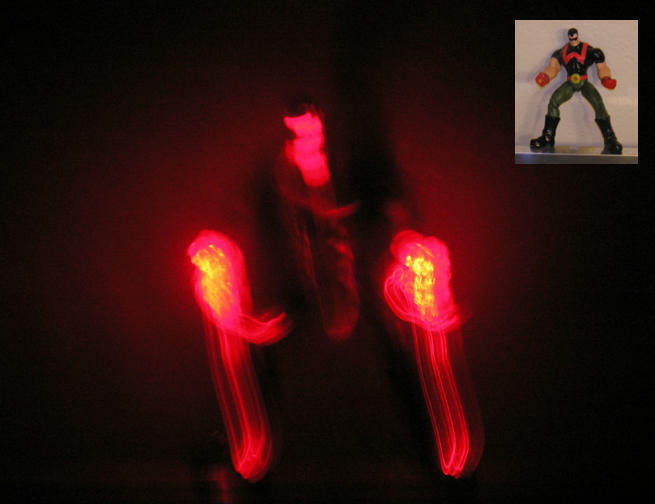 Wonderman uses his batteries to ignite his fists and sunglasses. He enjoys waving has fists around to make pretty patterns. 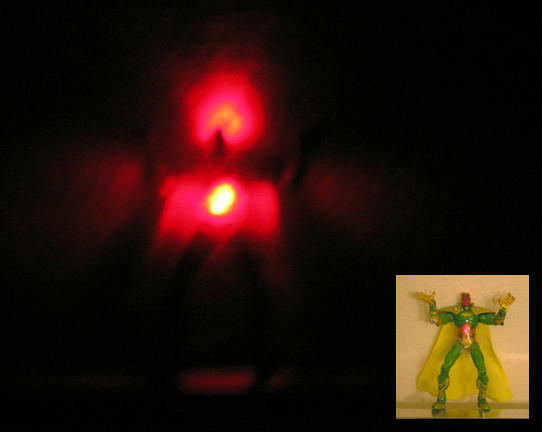 The Vision seems to eat hot and spicy foods before he retires, creating a very bright red torso, and steaming face. Hawkeye spends time shooting limes on the top of Red Skull's head. 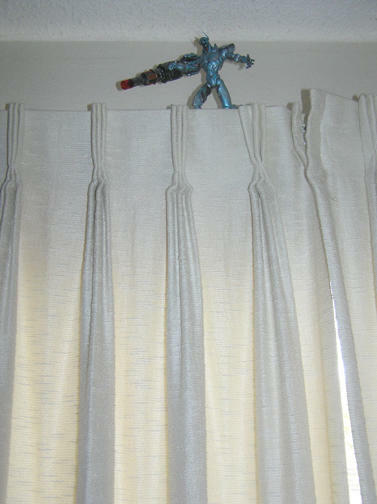 The Ultron spends many a days on top of the curtains blasting people with his fake blaster. Magnetic Mega Bloks knight Malfunction. 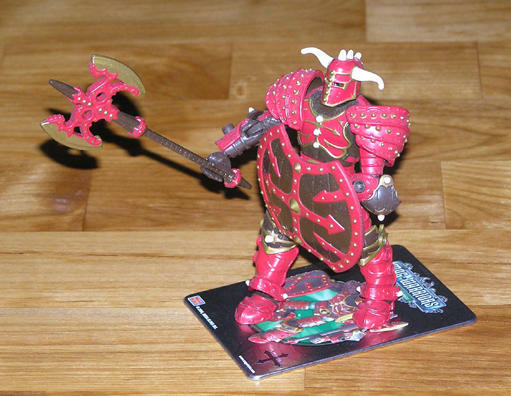 Magnetic knights from Mega Bloks are great fun! 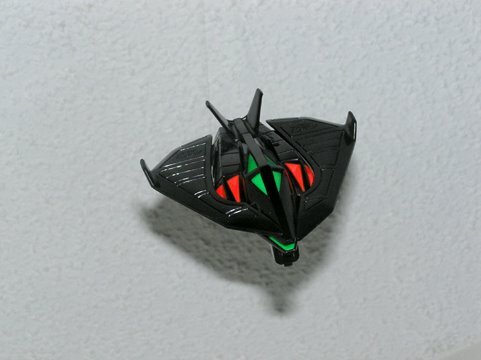 Just don't get them near other magnetic toys. 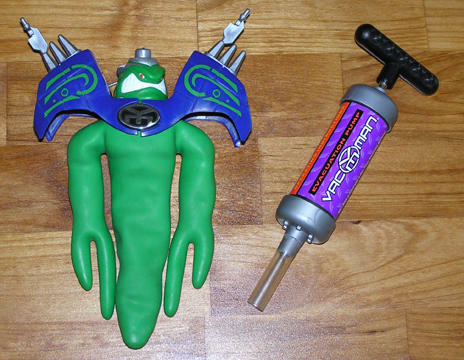 Unless you are a Mad toy scientist. 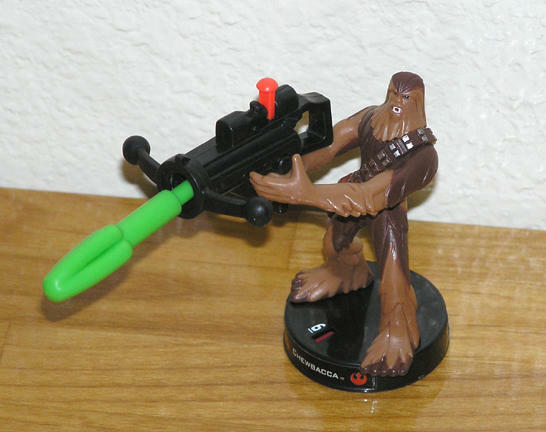 At last the mighty Chewbacca! Wait a second. I thought I had a Chewbacca? Oh this one has a Bow Caster Blaster. Darn Attacktix!!! 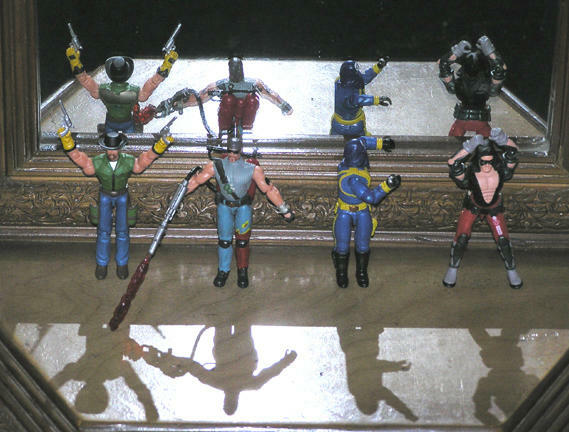 Something is wrong with my G I Joes. Usually they fight, but this time its different. 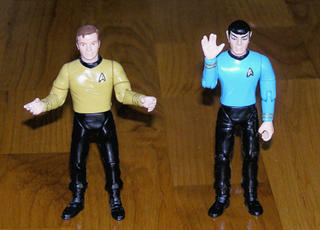 In a strange change of events I actually said goodbye to some toys. 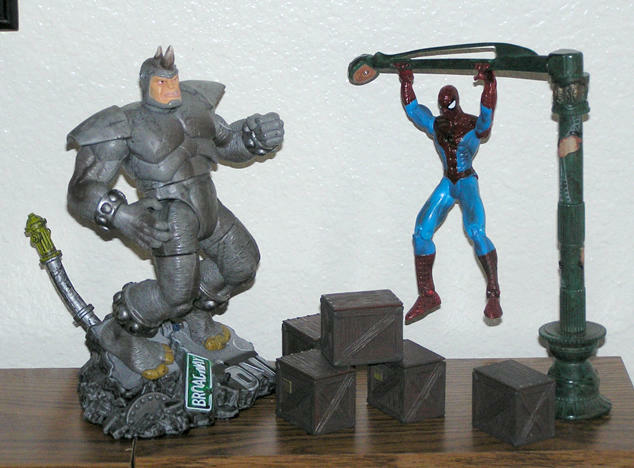 The Great Marvel Legends Rhino has been sold along with lamp-post Spiderman. They had some fun times on my shelf but in the last few years have filled up my storage bins to the brim. 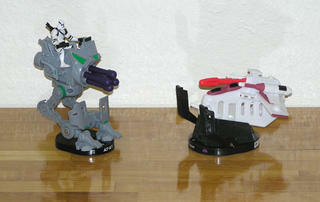 Rhino may look cool, but his plastic is very thin and weak, he can barely move with little joints. Spidy was fun (A gift from my sister, so if she is reading this, I'm in grave trouble :), yet Spidey's arms were stuck in a permanent lamp post hang, so i decided to part with him too. 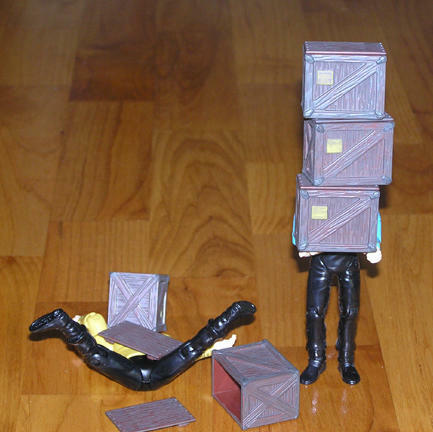 Fun Fact: those boxes were used in the filming of the strength compitition between Spock and Kirk. Toy Toy Arm Wrestling 2! 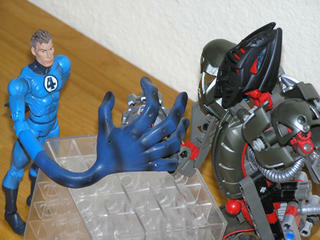 The Makuta vs. Mr Fantastic! And we begin the test of strength! What! Can he do that? Is that Allowed? OH MY! SHOCKING DEVELOPMENT! 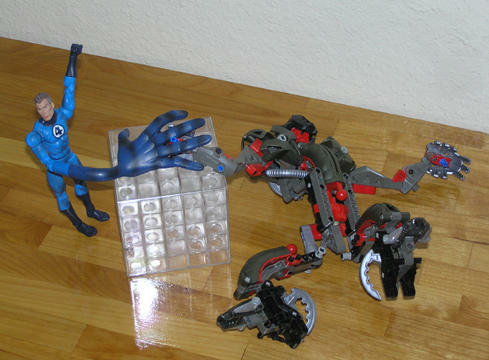 The Makuta is down, FAST! It looks like this is going to be allowed... Mr. Fantastic has brought a win to the forces of good. WOW, I have never witnessed such a surprise. The Makuta is rolling on the ground in agony as he now goes to 1-1! 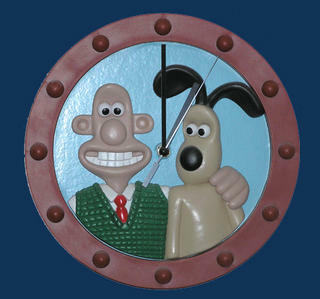 This will send shock waves through the toy shelves! What force of Evil will challenge Good? Only time will tell. 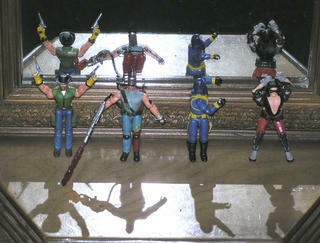 Thanks for tunning in to another great Toy Arm Wrestling compitition! 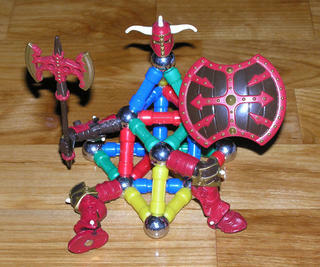 Any toy that makes you buy five toys to build the extra one is Evil. 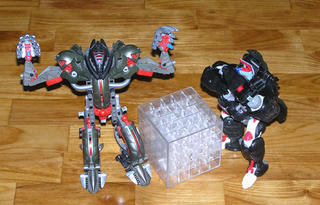 For each of these two really cool mini transformers I had to hunt down five others. 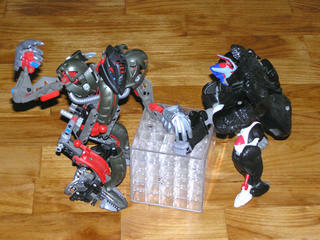 It gets kind of scarey too when you can find all the pieces except for a torso or a head. 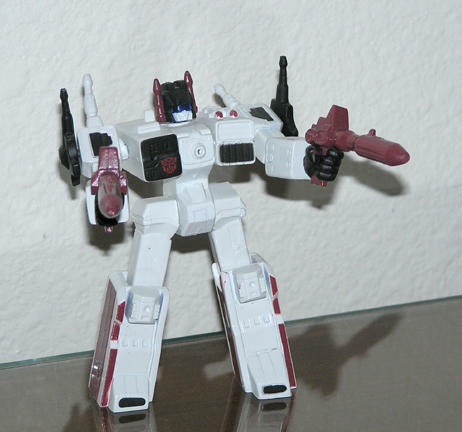 Metroplex is pretty cool with his double guns. Kenner Jurrasic Park toys. Uh-Oh! I'm really not sure what is going on here. 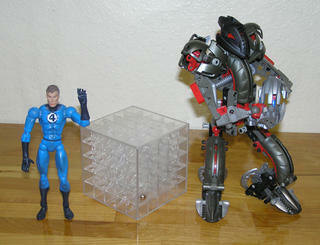 It looks as if little Timmy has caught himself inside a cage while Alan Grant looks on oblivios to what is behind him. 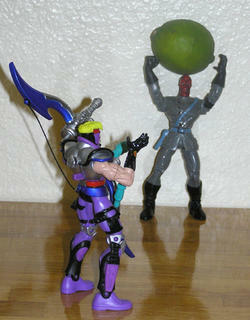 Cobra Commander Valor vs Venom 12" Close Call. 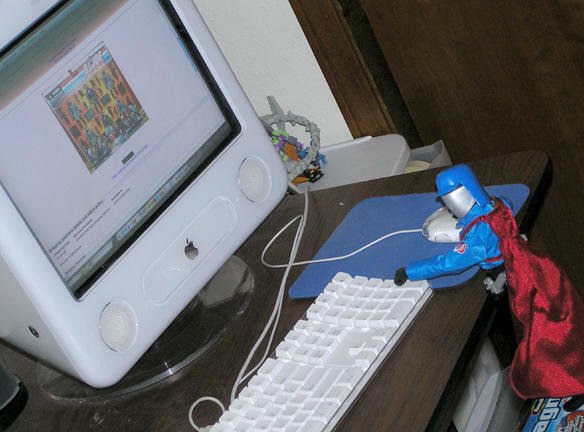 There was a tence situation today when I caught Cobra Commander hacking into my e-bay account on my computer. He was ordering Cobra troops by the thousands. Luckily I got home in time and thwarted the deal. The Terrorist commander is back where he belongs in heavy plastic storage confinement. I shot proof that the Rebel Alliance is using the International Space Station as a strategic base in our own Galaxy!!! At 12:59 I caught Luke Skywalker's X-wing getting a refuel. At 15:27 I found Obi-won taking on fresh supplies. 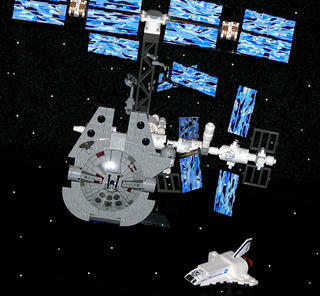 And at 23:15 the grand daddy of them all, the Millenium Falcon was caught delivering supplies to the station. 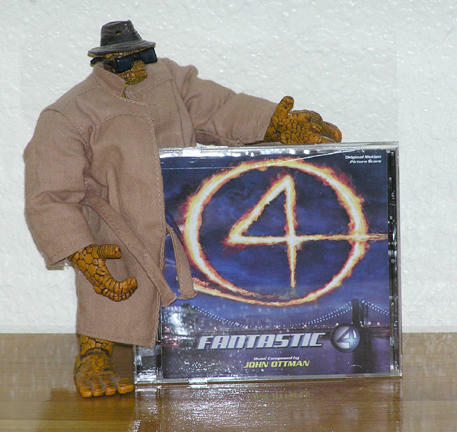 The Thing convinced me to buy a copy of the Fantastic Four soundtrack from him. 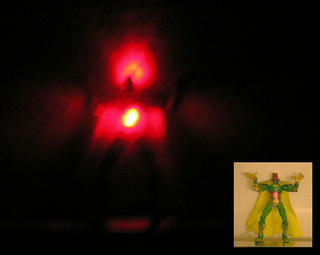 It's ok for a super hero score, kind of bland, kind of grand, kind of bland. Good for back ground music I guess. I hear the composer might do Superman Returns. 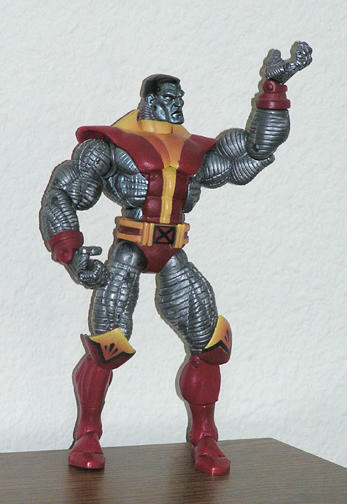 I hope not, his music is just not heroic enough (he did X-Men 2 too). I don't see why they can't keep John Williams theme going from the first ones. Anyhow... back to toys. Time for the big guns! Now things are going really crazy in my Star Wars Attacktix hording. I strengthened my armies with an AT-RT and a Republic Gunship. The Gunship adds a nice level of play being able to leave its base (tied to a teather) fly and pick up a guy and move it to a better location. The AT-RT has some very powerfull rapid fire cannons. The next game should be pretty intence. That is, until I loose an eye. 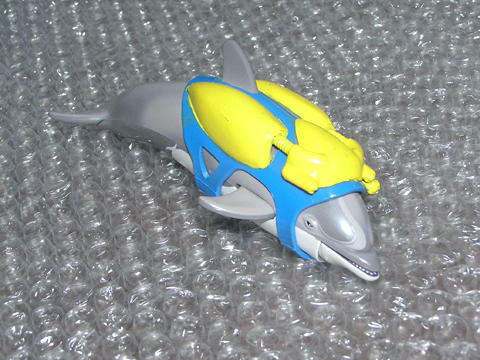 It's Playmates SeaQuest Darwin the Dolphin! At last! After years of looking I was able to catch Darwin the Dolphin from that old cheesey show of SeaQuest! 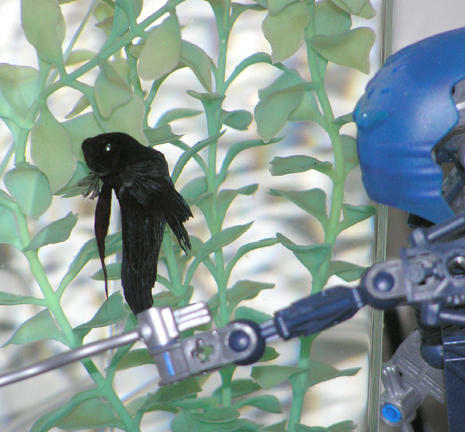 Darwin can chirp out cool dolphin noises when you squeeze his flippers. He also comes with a deep diving water suit and a cool sonar tag to play with. 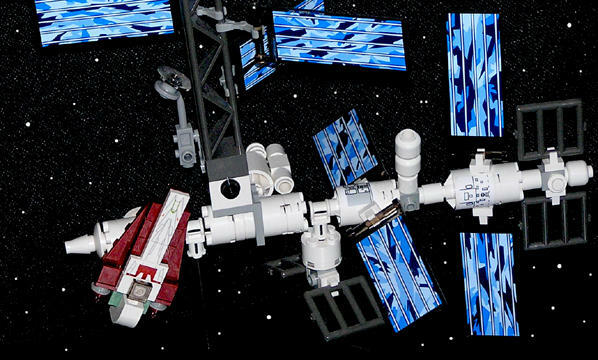 What fun filled missions can I send Darwin off to now?! 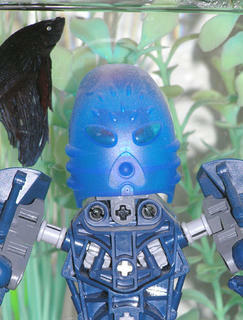 Sparticus and Water Bionicle photo shoot. Here are some fantastic pictures of my fish friend Sparticus and a water Bionicle who desperatly wants to get into the tank. Strength Comparison! Star Trek Playmates Kirk vs Spock! 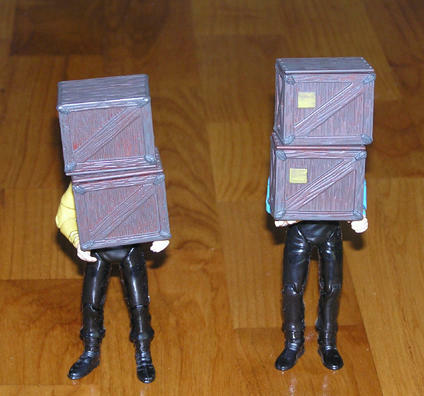 Now Two boxes. Need I remind you, these boxes weigh up to a few ounces. So it is true. 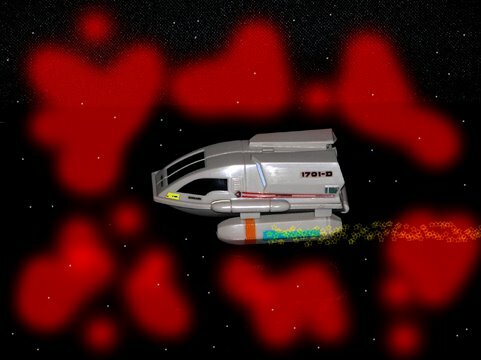 Vulcan's are stronger! 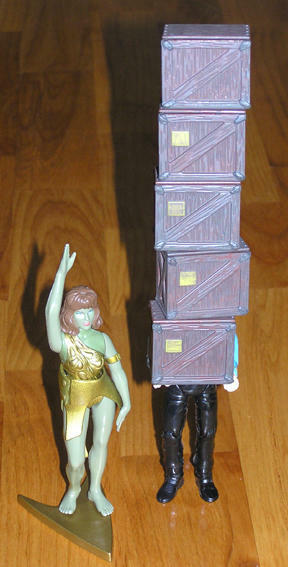 Wow a alot stronger... Look at Spock go! Congratulations! 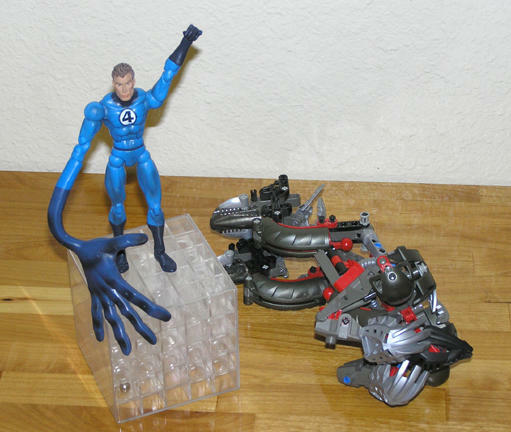 Toy Arm Wrestling! Optimus Primal vs The Makuta!!! Welcome everyone to the main event! 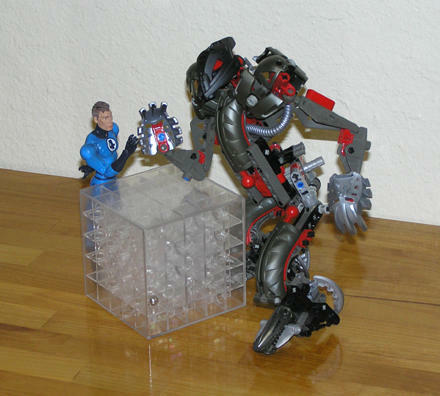 Today we have Optimus Primal taking on the legendary enemy of the Bionicles, The Makuta. 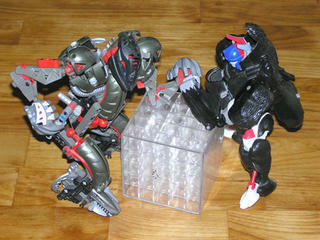 Lets get right to the action, on Optimus Primal's home turf, an Energon Cube! Here we go!!! 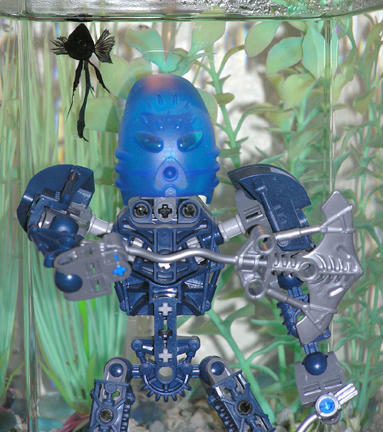 The Makuta has won! He has beaten Optimus Primal on his own playing field! This has got to be the biggest win of all time! 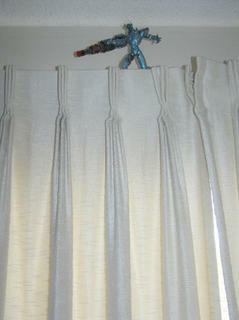 Poor Primal hangs his head in shame, trying not to believe what has just happened here. His only hope, that some day he will get the chance for a rematch!!! 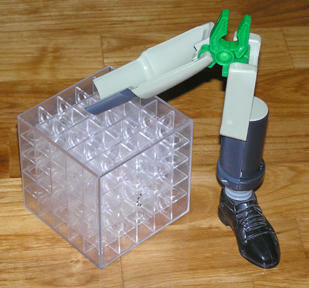 This presentation has been brought to you by...Inspector gadgets left leg. ..or was that Columbus day? I can never remember. 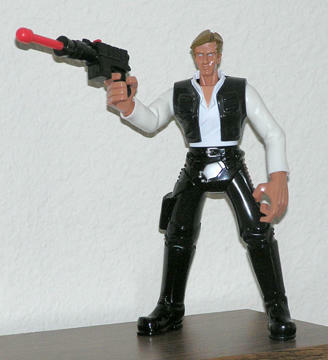 On a side note, special thanks to the Joe Hess toy archive for the donated picture. As half as I am addicted to Star Wars Attacktix, I also find the new Force Battlers to be very cool. 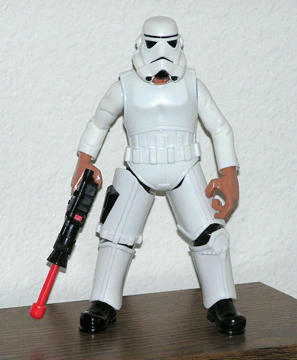 The Han Solo figure is great because of his snap-on Storm Trooper disguise. The only drawbacks to these figures is the lack of useful joints, but I imagine they could take a good beating. 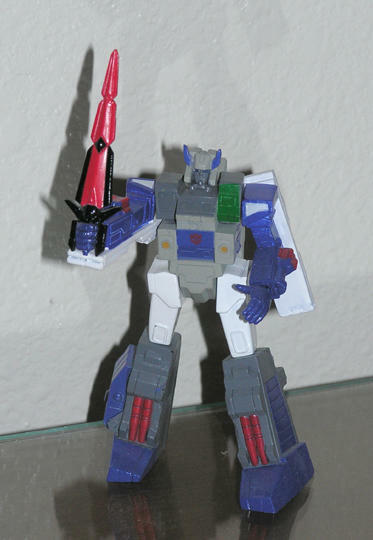 I'm looking to get the Emperor next. New Wallace and Gromit Movie! What a great movie! It had everything a claymation fan could want. 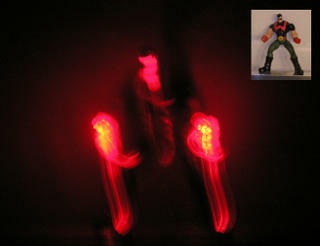 Except for maybe a cameo by some Techno-Trousers! I am pretty sure my status as an oober nerd has been secured. I have now gone to "outside sources" to secure my Star Wars Attacktix addiction. Also, the discovery of the rare silver bases have made collecting an even deadlier practice. Yes, there was an incident at Target. An incident that I thought I could control, yet could not resist the temptation of looking inside a few boxes that had already been opened. 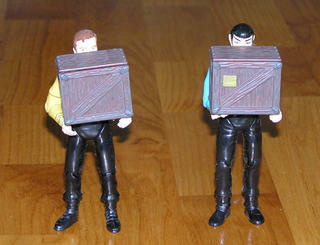 Now I NEVER was the one responsible for the original box opening, I make that clear. 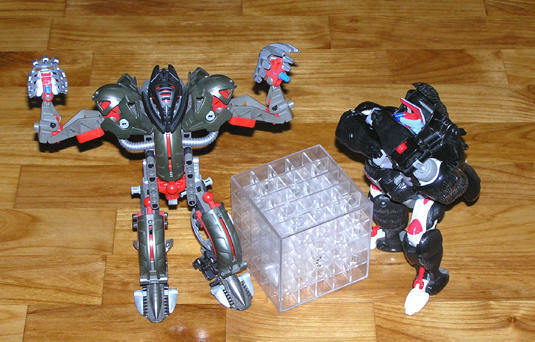 I might have accidentally spilled out the attacktix figures from these boxes and sorted them into a more flavorfull grab bag. And then nicely put the unwanted ones back in there place. In my world, I am doing Target a favor, I bought a damaged pack, right? right? Well in the end it worked out nicely because I found a rare Emperor, a silver based trooper, and a nice Grievious body gaurd. 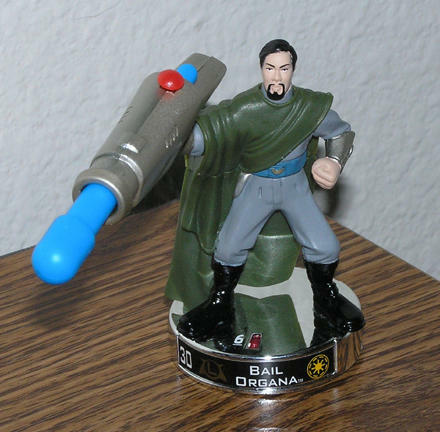 The punishment was that one of the boxes had a Bail Organa in it, which also coincidentally arrived in my mail today from an "Outside source." 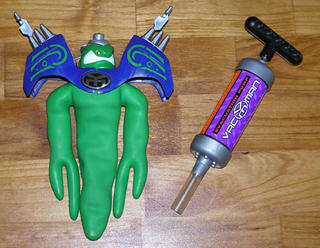 If your in the market for a Vacuum cleaner and can't decide what to get, try a Vacman Monster! 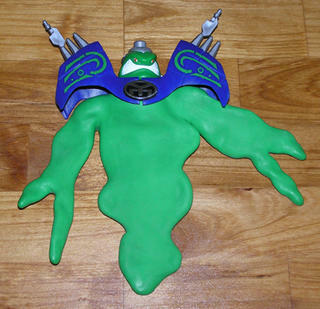 Have fun for hours sucking the air out of the monster and then forming it to look weirder. Stretch it, smash it, and squish it too. then press the releases button and watch it form back to normal. 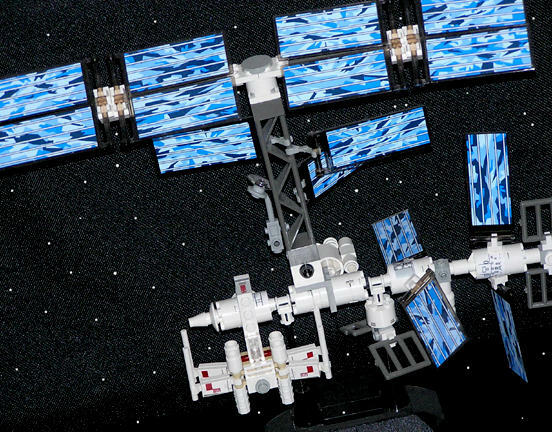 Go to your nearest E-bay now and find one today! 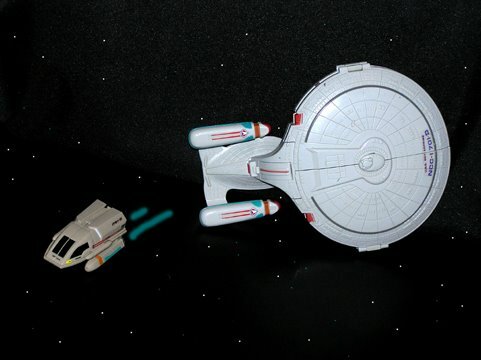 Mini Star Wars, Star Trek adventure! Part 1! Mini Star Wars, Star Trek adventure! 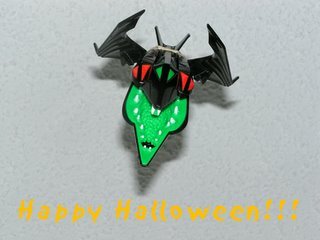 Part 2!